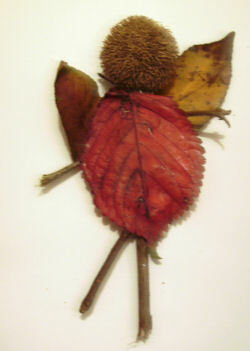 Make your twig fairy with one long stick as the body, and smaller sticks as the arms and legs. Use the playdough to stick them together. Add a large seed as the head and leaves as the wings and dress.